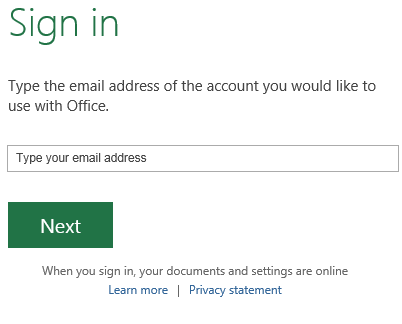 Microsoft Office 2013 introduced a new feature that allows a user to continue reading or editing a document starting at the last point he or she was working. This feature, referred to by some as “pick up where you left off”, is a convenient way to jump to the location within a document that Word believes was being read or edited most recently before a file was closed. After opening a document and being greeted with the prompt pictured above, I was curious as to where this information is being tracked. After a bit of investigation, I located a set of registry subkeys specific to Office 2013 where this information is stored. When a document in Word 2013 is closed, a registry subkey is created or updated in the “SoftwareMicrosoftOffice15.0WordReading Locations” subkey of the current user’s NTUSER.DAT. The subkey created should be named something similar to “Document 0”, “Document 1”, “Document 2”, etc., as the number appended to the name of each subkey is incremented by one when a new document is closed. Each “Document #” subkey should contain 3 values that may be of interest to an examiner: “Datetime”, “File Path”, and “Position”. All three values are stored as null-terminated Unicode strings. The Datetime value corresponds to the local date and time the file was last closed. This value data is displayed in the format YYYY-MM-DD, followed by a “T”, then HH:MM. The File Path value is the fully qualified file name. The Position value appears to store the positioning data used to place the cursor at the point in the document “where you left off”. It appears that the second number in this value data is used to denote the location within the document. For example, if a file is opened for the first time and then closed again without scrolling down through the document, the Position value data should be “0 0”. If a file is opened and the user scrolls down a bit through the document before closing it, the Position value data may be something like “0 1500”. The second number in this value data appears to increase as the user scrolls through (i.e. reads/edits) the document. Note that positioning of the cursor does not seem to have an impact on this value. That is, the second field in this value data increases even if the cursor is never moved from the beginning of the document. Fifty unique files (based on fully qualified file name) can be tracked in the Reading Locations subkeys. Each time a document in Word 2013 is closed, regardless of the version of Word that created the file, a Reading Locations subkey should be added or updated. It should be noted, however, that files accessed from a user’s SkyDrive do not appear to be tracked in the Reading Locations subkey. If the file referenced by the “File Path” value data of any subkey is opened and closed again, the corresponding value data is updated, however, the organization of the “Document #” subkeys remains unchanged (i.e. “Document 0” is not shifted to “Document 1”, etc.). Interestingly, it appears that when the 51st document is opened, the “Document 49” subkey is overwritten, leaving data from the other subkeys untouched. This LIFO rotation may have some interesting effects on examination, as it lends itself to preserving more historical data while recent activity is more likely to be overwritten. It is well known that Microsoft Office files store internal metadata that can be very revealing during forensic examinations (Author, Last Saved By, Creation Time, Last Saved time, etc.). What may not be as well known are the timestamps maintained within the OLE data structures of the Office 97-2003 files and how these timestamps may be used in a forensic examination. If a file was opened and closed without saving (thus not updating the internal Last Saved time or potentially any file system timestamp) and you do not have access to operating system artifacts to demonstrate file access, examination options are limited. However, I’ve found that in some cases – specifically with Microsoft Excel – OLE timestamps may be used to determine the last time a file was opened, even if the file was closed before saving. The OLE compound file format is often referred to as a “file system within a file”. As such, there are multiple data structures maintained and used by the file, one of which is the directory entry. 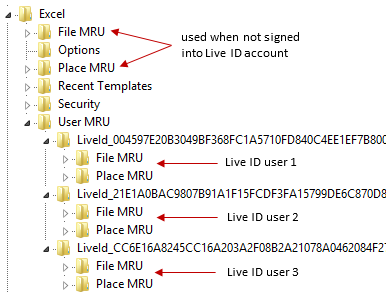 There are multiple directory entries within each Microsoft Office OLE file, but the one I’m going to discuss here is the root directory entry (labeled “Root Entry” within the file). The root directory entry within an OLE file functions similarly to the root directory in a FAT file system. Among other things, it contains a creation and last modified timestamp stored in FILETIME format. At this time, I have not found the creation timestamp to be overly useful in terms of the information it reveals with regard to Microsoft Excel files as it is typically zeroed out (although this is not always the case). The last modified timestamp, on the other hand, can be particularly interesting. When a spreadsheet is saved in the Microsoft Excel 97-2003 format, the last modified time of the Root Entry within the OLE file should either be zeroed out or updated to reflect the time that the file was saved (depending on the version of Excel used to save the file). This may not be very helpful as the last save information is already available through other known metadata (i.e. the Summary Information stream). However, the last modified timestamp of the Root Entry appears to be updated when the Excel file is opened. If the file is then closed without being saved, this modification time remains and reflects the last time the file was opened. This means that it may be possible to detect the last time a Microsoft Excel file in 97-2003 format was opened if the file was not saved and an examiner is provided with nothing more than the file itself. Updates to the last modified time of the Root Entry directory entry remained consistent in my testing of Excel 2000, Excel 2007, and Excel 2010 (I did not have Excel 2003 or 2013 available to me at the time of testing). Further, the timestamp was updated regardless of the version of Excel that created or opened the file. When the “Protected View” warning bar appears (requiring the user to click “Enable Editing” to edit the spreadsheet), it appears that the update to the OLE Root Entry modification timestamp will depend on the volume from which the file was opened. Opening a file that was downloaded from the Internet but stored on the local hard disk results in an update to the modification time (regardless of whether the “Enable Editing” button is clicked by the user). Opening a file from a network resource will not update the modification timestamp unless the user clicks the “Enable Editing” button. It should be noted though that my testing has been limited with regard to the Protected View functionality. X-Ways Forensics is currently the only tool I’ve tested that parses the last modified timestamp from the OLE Root Entry of Microsoft Office documents (I’d be interested in hearing about others though). For the sake of demonstration, manually finding this timestamp is straightforward. The easiest way is to simply search for the Unicode string “Root Entry” when the spreadsheet is opened in a hex editor. Starting from the first byte of the Root Entry (Unicode “R”), simply skip ahead 108 bytes to find the 64-bit FILETIME modification timestamp. Although this method should work for finding this timestamp, I would encourage you to follow along with the binary specification of the OLE compound file format (see Resources below) so that you have an idea of what fields are present and how the overall OLE file format is structured. When an examiner is provided with a limited set of data (e.g. a flash drive or external hard drive), the options for analysis will likely be limited. Without the common operating system artifacts that we are used to examining, determining activity with regard to a particular file or set of files can be difficult. However, if an examiner is provided with a media device storing files in Excel 97-2003 format, he or she may be able to determine if and when each file was opened without being saved. Comparing the Last Saved time in the Summary Information stream to the last modified time of the OLE Root Entry may be revealing. If the last modified time of the OLE Root Entry is later than the Last Saved time, the file may have been opened and closed without saving after the last time that the file was saved. This information may be very helpful when the mere fact that a file was opened after a particular date is significant. While this post (and my testing) has focused on Microsoft Office 97-2003 Excel files, it’s important to note that the OLE Root Entry last modified and creation timestamps are not limited to Microsoft Office files. There are a number of other files that use the OLE compound file format, such as jump lists (*.automaticDestinations-ms), thumbs.db files, and sticky notes. Further research into the behavior of the OLE timestamps with regard to other file types may reveal interesting and useful information for forensic examinations.